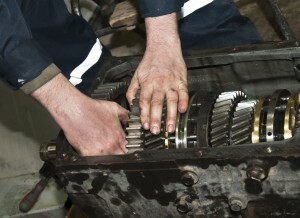 “A1 Transmission Services” understands how important it is to find a quality transmission service and repair facility. This is why we value the relationships we have with the reputable organizations listed below. These associations help our transmission service & repair facility to ensure that you have the confidence in knowing that your automotive repair and service needs will be met by our qualified automotive repair and service expert technicians. “A1 Transmission Services“ pledges to all of our customers that we will not remove a transmission from a vehicle in order to complete a repair unless absolutely necessary. Additionally, our shop promises to diagnose transmission problems for all of our local and surrounding area customers in an honest and expert manner. Our shop strives to provide prompt and courteous service to all who visit our automotive transmission repair facility in the hope that you will come back to us for all of your automotive automatic transmission repair needs. Adherence to the ATRA Code of Ethics also helps ensure that when you bring in your vehicle for transmission service or repair you will know that you are receiving an honest and professional service from our technical staff.Our auto technicians are always polite and courteous in their effort to provide you with the quality of service you want and deserve.